It would appear that all this barefoot nonsense has finally run its course and the charade is over. I must say it’s about time. All these people wearing toe shoes and the dozens of companies making minimalist footwear has gotten out of hand. It’s way too hippy-ish for a civilized society like ours. I mean, we invented shoes for a reason and more cushioning and support is necessary this day and age, every one knows that. 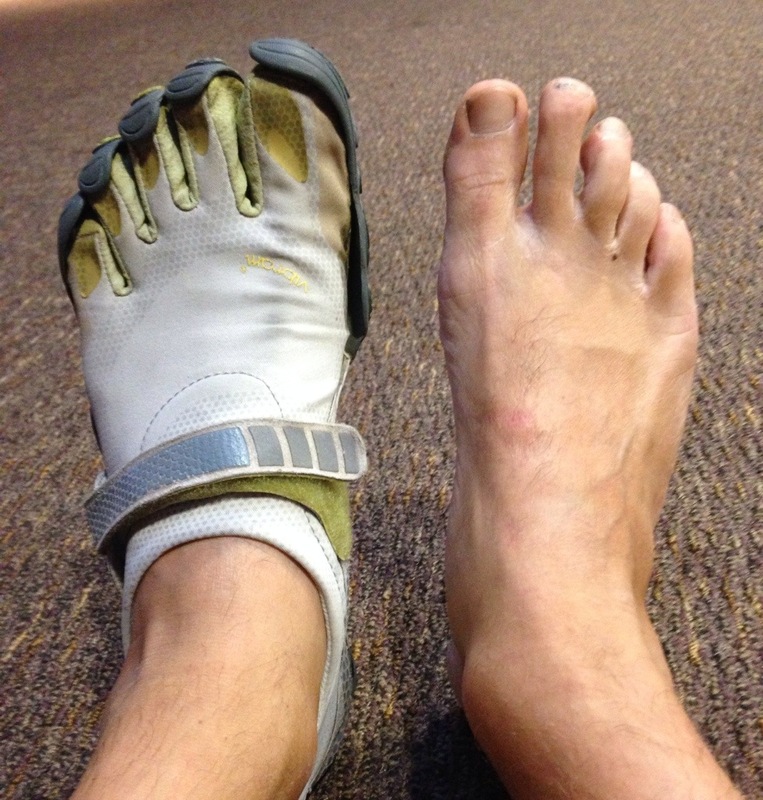 …and the wheels were set in motion to sue Vibram for wrong doing. Fresh off the heals of the Sketchers Shape Ups case, in which the settlement was $40 million, it’s felt that Vibram settled this case early to avoid a lengthy and financially costly trial. By settling now they don’t admit wrong doing but basically they’re saying if you felt you were fooled by us then we will give you money back, and here’s a bunch of money to take from. Runners interested in transitioning to minimalist running shoes, such as Vibram FiveFingers, should transition very slowly and gradually to avoid potential stress injury in the foot. Nothing new here- that’s exactly what Vibram has always said. Nonetheless, criticism of minimalist and barefooters think this is proof that barefooting is bad for you. Squatting 200 pounds is also bad for you when you’ve only squatted 50 before and is also bound to cause a little damage if you do it anywhere close to the same number of times, no matter how experienced a lifter you are. Context is important. So Is This The End of Toe Shoes? My thought: the end is not even close. I think it’s still a growing industry and I still believe in the idea of reconnecting to the ground as do many others. Barefoot shoes are a tool that should be treated as such. I never thought of Vibram Five Fingers as a magic potion nor did Vibram make me believe such with any of their advertising. If anything, the users and believers in Five Fingers are making much stronger claims of health benefit than Vibram’s marketing. I hope that this development will reinforce the activation of the common sense gene expression. It still shocks me that people can blame the advertising claims of a product. If anything, we should have learned by now to be skeptical of anything you see advertised. If you want to believe the claim that barefoot running heals the body that’s great but treat it like any other investment in health or change in behaviors- listen to your body and if it sounds to good to be true it probably is. You mean I just switch to toe shoes and all my knee pain will disappear and the tendinitis I’ve been developing for years will vanish?? You mean I just take this supplement and I lose weight without changing my lifestyle?? Transitioning to a more minimalist or barefoot lifestyle isn’t an overnight change. It’s a process similar to just about everything else in life and health. Barefoot and toe shoes aren’t for everyone. Most of us have spent a lifetime in shoes (heavy, thick, rigid and padded and/or heels) and need a long time of slowly progressive adaptive changes to strengthen both our feet and the brain body connection. I really believe in being barefoot or close to it as often as possible but we can’t jump off a speeding train and expect not to get hurt. **Quick thought: if someone gets hurt from being barefoot or barefoot-ish, is it the shoe companies’ fault their body gets hurt from being barefoot– the way humans are designed to be…? Sounds to me the body getting hurt is the problem, not the shoe (or lack of shoe) underneath it.